Deodorants versus Antiperspirants – Which One Will Keep You Dry? Perspiration and body odour have been of concern for many of us who wish to present a beautiful body to others. Here it is important to note that deodorants and antiperspirants are not the same. Deodorants hide the smell with fragrance. They do not dry the perspiration at all. They also do not prepare the skin for not perspiring. Deodorants will not keep you dry. They will make you feel good with their fragrance and hide body odour. For keeping yourself dry you have to use antiperspirants. 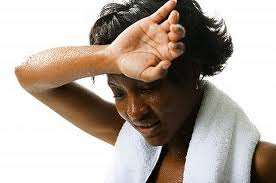 An antiperspirant blocks the sweat ducts and does not allow the sweat from reaching the skin surface. Aluminium chloride has been a choice ingredient in antiperspirants. Many new aluminium compounds are now being used as active ingredients in antiperspirants and the newest is Aluminium Zirconium Tetrachlorohydrex Glycine. “LIMIT YOUR CONSUMPTION OF SPICY FOODS, SUCH AS CURRY OR GARLIC, BECAUSE THEY CAN MAKE YOUR SWEAT SMELL”. The ideal antiperspirant should be water soluble, free of any fragrance and contain ingredients that are not normally allergy forming. As the areas where antiperspirants are usually applied such as underarm, is moist and warm, with skin layers upon layers and having thin epidermis, the ideal antiperspirant should be highly non-irritating for most of the users. It should also not leave any deposit after drying. Roll-on antiperspirants tend to be more effective for heavy sweating. Take a bath or shower once a day. The warm water will help to kill the bacteria on your skin. On hot days, you may want to consider bathing or showering twice a day. Wash your underarms thoroughly with an antibacterial soap. Use a deodorant or an antiperspirant after bathing or showering. Shave your underarms regularly so that the sweat evaporates quicker, giving the bacteria less time to break it down. Wear natural-made fibres, such as wool, silk or cotton. They will allow your skin to breathe, which means your sweat will evaporate quicker. 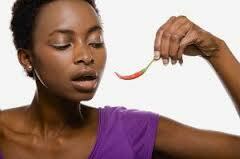 Limit your consumption of spicy foods, such as curry or garlic, because they can make your sweat smell. There is also evidence that people who eat a lot of red meat tend to have worse body odour. If you have any allergy to fragrances, dyes, contact, you should use antiperspirants with care. Diabetics should use these products after consulting their doctor. If you have sensitive skin or have tendency for eczema, you should consult your doctor before using antiperspirants.